Previous postHow About that NaNoWriMo? Pablo Neruda, my favorite poet! This month I am reading all of Anais Nin Diaries and Henry Miller’s Tropic of Cancer. I also have aligned for reading “Henry and June”, and Miller’s book titled “On Writing”…oh what a pair they were. I am enthralled! I also keep a list of books on hold, so never run out of great inspiration! That’s quite a list, Suzi. I’ve been meaning to re-read Tropic of Cancer-it’s been years. I added this book to my list this morning, too. Happy reading. 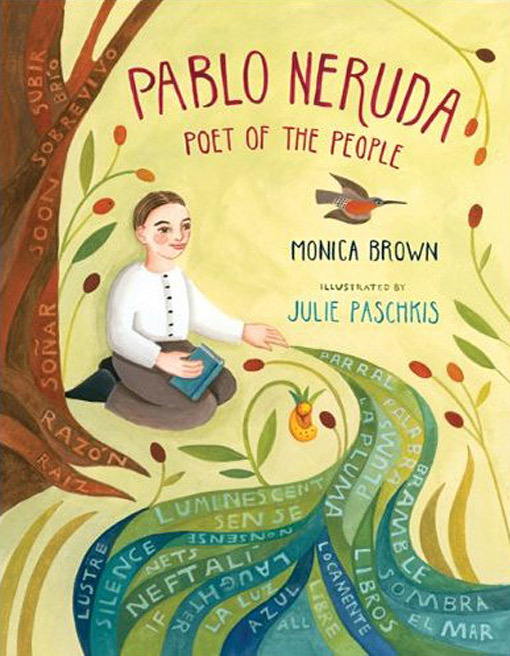 I discovered Pablo Neruda as a young student in France and instantly loved his work. Thank you for sharing some of your favorite books with us, Mona, and best to you with NaNoWriMo. Thanks Evelyne. I wish I’d have read Neruda sooner. This children’s book will make a great Christmas gift for my niece. Oh, I’m so glad books decrease our stress. Now I have another reason to keep reading!